For your convenience, we have an after-hours drop box for those of you who cannot bring your vehicle in during normal business hours. 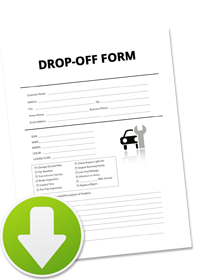 Click here to download and print a form to fill out and leave with your vehicle and keys. Please fill out the form completely, sign the form, and include your keys when you use our convenient and secure drop-box.